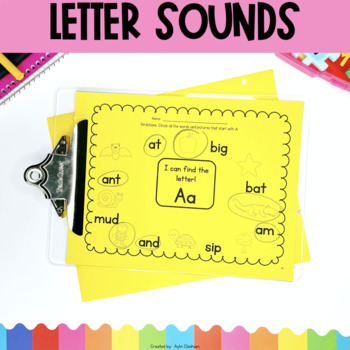 This pack is a great resource to use throughout the school year to help your students practice/review letter names and beginning letter sounds. You can easily just print and use each page or create a journal with all the pages for daily/weekly practice with letters. Students will simply follow the same format for each page- they will go through each picture and word and circle the ones that begin with the letter on the page. 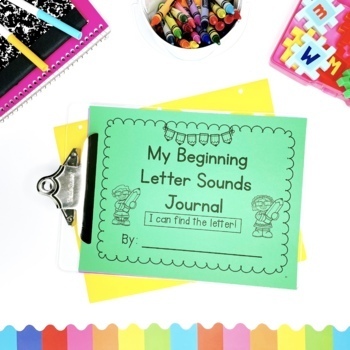 Students can practice saying the letter on the page and the sound it makes while also trying to read each word listed. 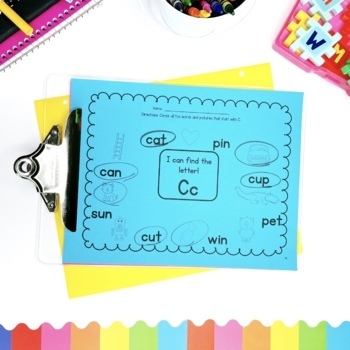 You can also print only a few copies and use bingo chips, wikki stix, pointers, etc for students to identify words that begin with the letter sound instead of crayons/pencils. 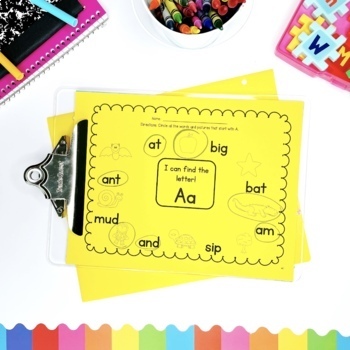 This pack can be used in literacy centers, in a guided group for struggling readers or as independent work.